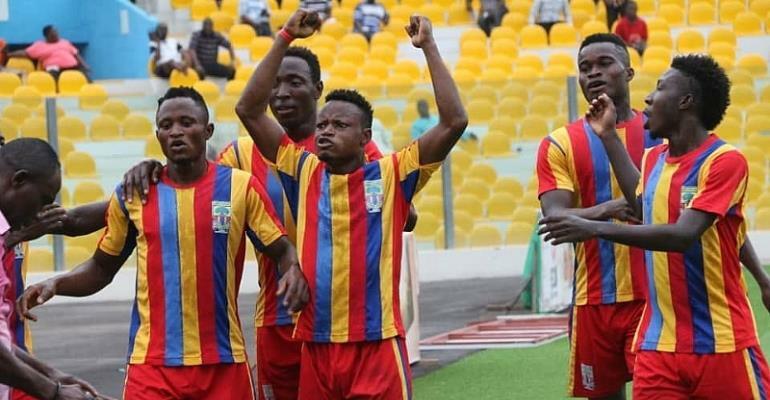 A motivated Accra Hearts of Oak side tamed Liberty Professionals today at the Dansoman Carl Reindorf Park in a pulsating match that ended 1-0 in favor of the Phobians. The Accra derby lived up to expectations with both teams exhibiting high-intensity football in a bid to reign supreme over the other. The match started with a high tempo as the away side pressed Liberty to deny them the opportunity of playing out their tactics. The deadlock of the game was finally broken after the half-hour mark when Kojo Obeng Jnr jumped above the Liberty defense to head home from the corner kick. The decisive equalizer proved to be the decider at the end of the 90 minutes with Hearts taking home the vital 3 points. The results see the Rainbow boys making it two wins in a row for the first time since the start of the Ghana Football Association Normalization Committee (NC) Special Competition. Kim Grant’s side is back in the race to win Tier 2 of the Special Competition following today’s triumph. They are now 3rd on the Table with 9 points and just a point behind leaders Karela United. In the next match day, Hearts will play WAFA on Sunday, April 21, 2019.